OPPO F5 Limited Edition is now available all across Pakistan within very reasonable price that you can easily afford. As you can see that it is tagged as Dashing Blue Limited Edition so there will be the precise quantity of this device will be available in the market. So if you love blue color then grab your smartphone today before its too late to get this dashing OPPO’s F5 Limited Edition. Samsung has a different approach about its smartphones and they always introduce Plus or Pro variants of smartphones but this brand playing with colors and F5 Limited Edition is the result of their brilliant idea. 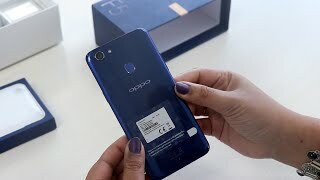 This phone is already available in three beautiful colors that include Black, Gold, and Red variants but F5 Limited Edition by OPPO is going to give more choice of colors for their lovers. Inside the belly of this device same 2.5 GHz Octa-core processor is ticking which is installed on MediaTek Helio P23.